Complete your E-Nano kit with a matching wood Stando for your E-Nano and your accessories. Complete your E-Nano kit with a matching wood Stando for your E-Nano and your accessories. 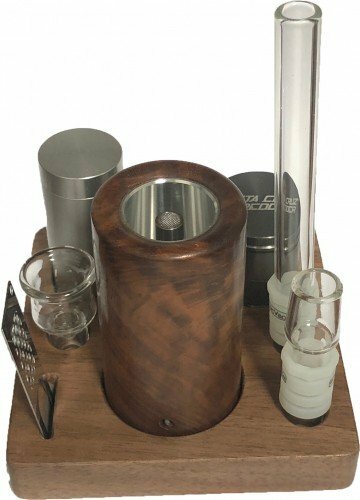 This exquisite deluxe stand will hold up to 3 glass accessories, 1 E-Pick and a small Santa Cruz 2 or 3 piece grinder. Mounted on rubber feet to prevent sliding and scratching while remaining sturdy. Your E-nano will feel right at home with this specialized stand. 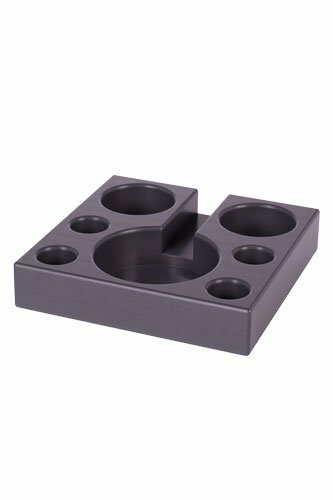 Created to help organize your E-Nano and accessories.